LANCASTER, Wisconsin – You never know where a conversation with Gerry Weiss will drive you. Today, it’s swerved toward fence-line weaning. Once explained, however, fence-line weaning emerges as a common-sense, humane approach to a life stage that can be traumatic to beef cattle. Conventionally, farmers would separate mother and calf, who would bellow their complaints across the fields for a few days before finally moving on, exhausted. Weiss did not invent the practice, but he realized that fence-line weaning eases stress for animals and cattlemen alike. Once separated by a strong fence, mother and child can do everything but nurse. “They have less stress, baby can talk to its mother and she can look through the fence and see that her baby’s okay,” Weiss says. Within a few days, both parties get over the separation blues. Today, fence-line weaning is gaining acceptance in beef operations. In a state proud of the connections between the UW–Madison College of Agricultural and Life Sciences and the linked industries of farming and food processing (which employed 413,500 and created more than $88 billion in economic activity in 2012), Gerry Weiss stands as a key conduit between academic experts – many with roots in the soil – and those who make a living growing crops and animals. During his various collaborations with the branches and people at CALS, Weiss built a specialized swine barn designed for research, and performed contract research for the late Mark Cook of UW–Madison, as well as firms in the hog industry. Among many formal relationships with CALS, Weiss worked with soil science faculty to develop nutrient management plans to credit the nitrogen for future crops added by manure and legumes, thus helping reduce costs and constrain water pollution. 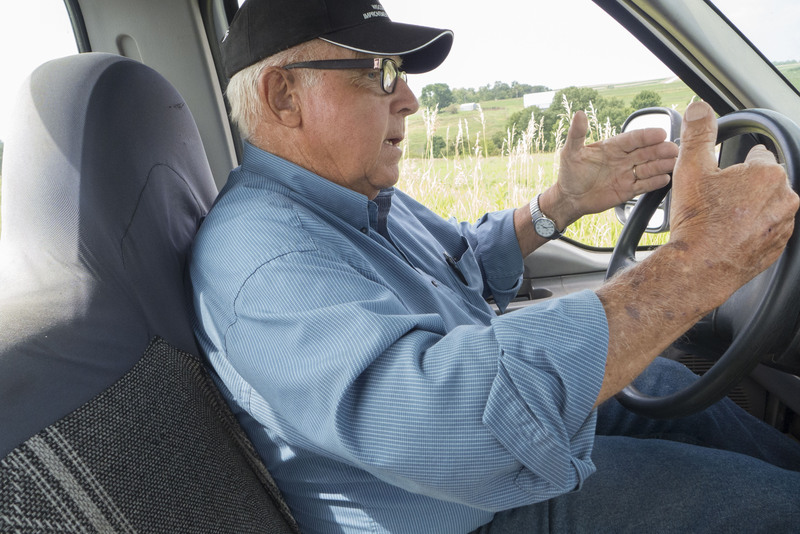 Weiss is a native of Dane and Columbia Counties who says he began farm work at age five. In 1975, after earning a bachelor’s degree in animal science from UW–Madison and a Ph.D. from Iowa State, he began working at Dubuque Packing Co. as assistant to the president for research and development. Curious and apparently tireless, Weiss bought 350 picturesque, hilly acres near Lancaster and, with advice from the USDA Natural Resource Conservation Service, immediately set out to fill gullies, plant waterways and construct terraces to halt soil erosion measured at 13.1 tons per acre annually. Recalling that struggle elicited his first reference to UW–Madison. 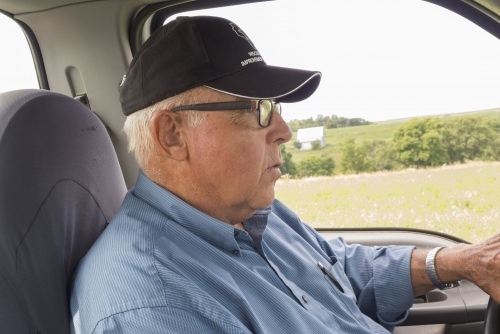 Weiss credits Bill Paulson, the former superintendent of the university’s nearby Lancaster Experimental Station, for having local knowledge of the ideal seed mix for his pastures, terraces and waterways. Farmers avoid plowing low areas where rainwater must run off to foster an erosion-resistant ground cover. Weiss goes one better by planting hay, getting a saleable crop as a fringe benefit with the erosion control. “It may seem obvious, but I’ve never had anybody mention that to me,” says Schaefer. Weiss has managed to survive in the ever-changing farm economy for 40 years. 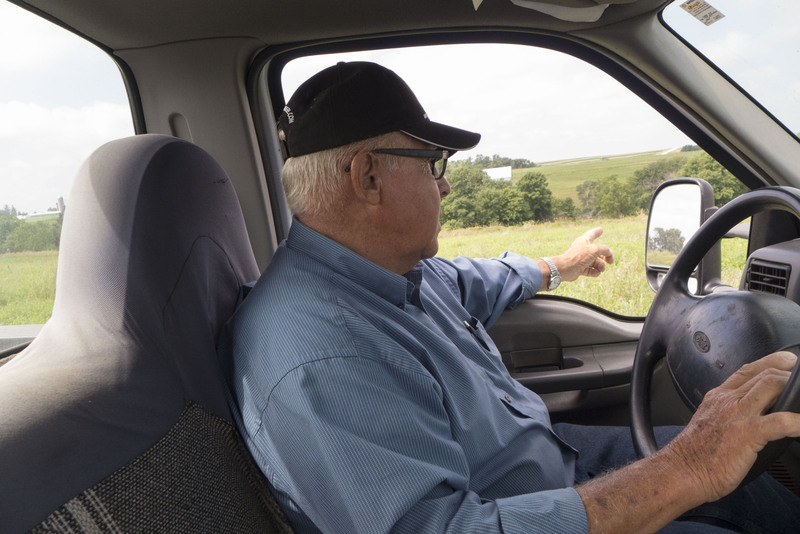 Today, he says, corn and hogs are a quick way to lose money, but growing forage is profitable, so hay is what he sells. 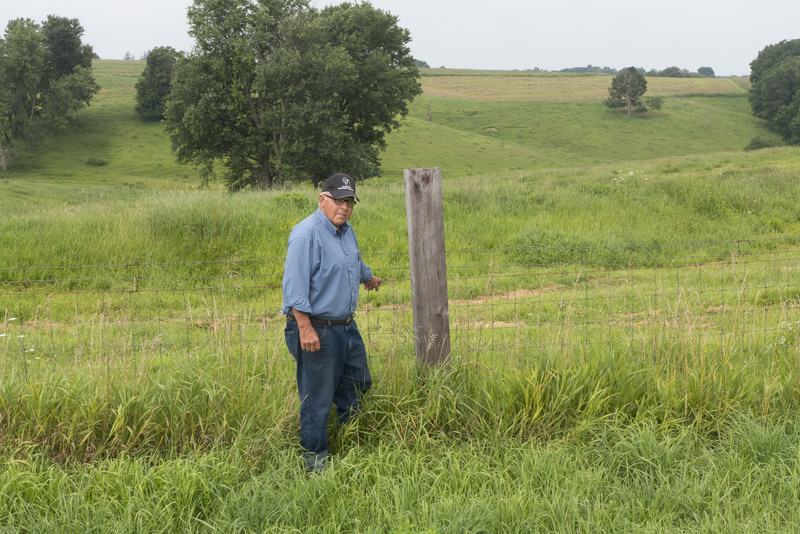 Decades ago, Weiss pioneered the use of “rotational grazing” on his improved permanent pastures, moving cattle to protect the forage from trampling. The practice, now a mainstay of organic and other low-impact agriculture, replaces tillage and the haulage of feed and manure in conventional cattle raising. At the same time, it increases productivity, allowing any given field to support more animals. These practices have virtually eliminated soil and stream-bank erosion, which approaches zero on Weiss’s place: a pickup-truck tour of the fields in July’s rainy spell reveals no mud. I do see a lone Canada thistle, and tease him about it, as these thorny weeds are one of the worst pasture pests in Wisconsin. Weiss promises to annihilate it to block reseeding. “His mind is always churning; I don’t know how he sleeps at night,” Doll adds. Weiss developed or adopted other common-sense tactics, such as washing mother hogs and swine buildings to remove worm eggs and old manure before sows give birth. “We developed biosecurity before that was a word,” he says. The swine barns are now empty — in response to harsh market conditions — and the Gelbvieh cows that Weiss imported from Germany in the 1970s are his only livestock. Having viewed some of Weiss’s labor (and cow-saving) innovations, I wonder why he only has 60 head. I have plunged into the manure pit called conventional wisdom. The answer is in front of my face, something Weiss is kind enough not to mention. Such an expansion, however, would best be carried out by the next generation of stewards of this land. At 72, Weiss is erudite, challenging, with an unpredictable, probing sense of humor and a preference for puns in English and German. And even though he occasionally mocks his Ph.D., saying it stands for “Pile it higher and deeper,” his intelligence is unmistakable.